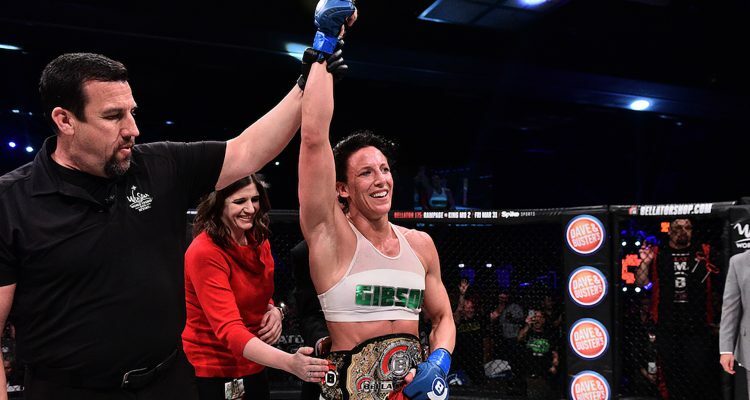 Bellator 174: Julia Budd Becomes Bellator's Inaugural Featherweight Champ; Marloes Coenen Retires (photos) » MMA H.E.A.T. Quote: “I was completely prepared for this fight and had an incredible camp,” Lovato Jr. said. “I’m just so happy and thankful to be with Bellator now. I’m so excited about my future, so let’s ride this wave. No Comments on "Bellator 174: Julia Budd Becomes Bellator’s Inaugural Featherweight Champ; Marloes Coenen Retires (photos)"